I'm just back from a fantastic three days on Jeju island thanks to the lovely people at Korea.net and KOCIS. A small group of bloggers was given the opportunity to explore the island, eat some great food and learn a little more about Korea. I'll be blogging about our trip over the next few days, but if you fancy getting a head start on things then you can go here to see some photos from our adventure. 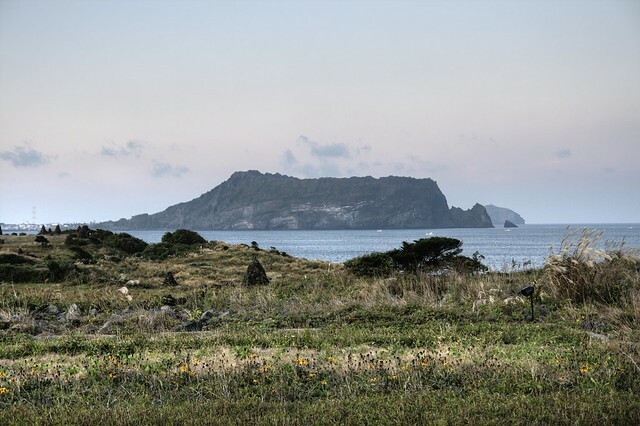 If you have a spare moment then you may want to visit here for info on how to vote for Jeju in the New 7 Wonders of Nature competition. I'll be talking about the competition in another post, but it's a good opportunity to give Jeju a boost and let the world know about this beautiful island. I salute you sir, you got the ball rolling on your first post. I haven't even unpacked my bags yet, heehee. Thanks for your part in such an amazing weekend and looking forward to reading your account of it and flipping through all your pics. That might be because I didn't have to work today! It was great to spend time with you and the rest of the gang and hopefully we can all meet up again for further adventures. And the Olleh Trail. It is also awesom3ballz! Thanks Chris, the link is there if you click on "here" in this part of the blog "then you can go here to see some photos from our adventure." I'm looking forward to seeing your shots!